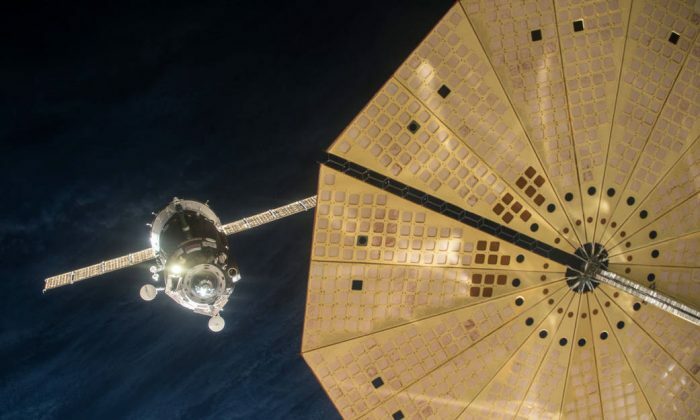 Astronauts docked the Russian Soyuz TMA-19M spacecraft for the International Space Station on Tuesday after an automated attempt failed, NASA said. Three astronauts–Tim Kopra of NASA, Tim Peake of the English Space Agency, and Russian cosmonaut Yuri Malenchenko–will remain on the station until early June 2015, NASA said. The three replaces another group of astronauts who were on ISS until leaving last week. Malenchenko was forced to take over the Soyuz at the last minute in a rare maneuver. However, he easily glided the rocket to dock in the ISS Rassvet module. “Well, we have finally arrived,” Malenchenko said over radio, according to CBS News. Queen Elizabeth II issued a statement to Peake. “The thoughts and prayers of the whole country are with him and he crew, especially at this time of the year,” she said, reported the Guardian. Astronaut Helen Sharman had advised Peake to “look out of the window occasionally” to catch a glimpse of Earth from orbit, as it “will be something that will stay with him for the rest of his life,” according to the Independent newspaper.